A ‘coach’ is more than just somebody who leads in the organisation and delivery of structured sport. The role of a coach goes beyond leadership, requiring an understanding of theories of teaching and learning. To become a coach you must know how people learn. Becoming a Sports Coach aims to introduce the multi-dimensional and inter-locking knowledge bases that any aspiring coach will need to develop, and that any established coach needs to master in order to improve their professional practice. While traditional coach education pathways have focused on what to coach, this book argues that understanding how knowledge can be communicated to learners is just as important. Asking why we coach,through critical reflection and self-knowledge, is also an essential part of the process of becoming a sports coach. The book explores three types of knowledge – content knowledge, pedagogic knowledge and self-knowledge – challenging the reader to reflect on their own coaching experiences and to develop a personal philosophy of coaching. It explores key pedagogic themes in contemporary coaching studies, such as humanistic coaching, inclusive practice, coaching for understanding, and the athlete-coach relationship. Real case studies are used to illuminate the ways – transferrable across sports - in which coaches can apply theory to practice and ultimately enhance their work. 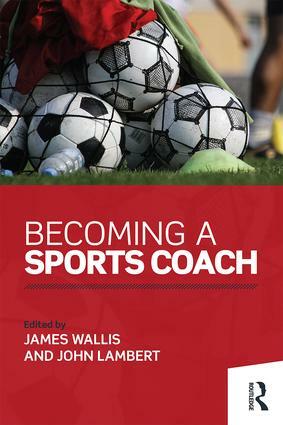 With contributions from leading coaching researchers and practitioners, combining practical guidance with important theoretical insights, this book will help any coaching student or developing professional to better understand the journey to becoming an effective sports coach.